like the way I educate them and talk to them. I've had clients say, 'Wow, no one's explained that to me before.' And that's my education background. I can't help it. I want them to know why I'm doing something," Faulkner said. And beyond the eco-friendly, non-wasteful ethos, Faulkner wants her customers to feel satisfied with their haircut and the overall experience. "I want our clients to come and be like, 'Oh my gosh I had the best experience at this salon,'" she said. 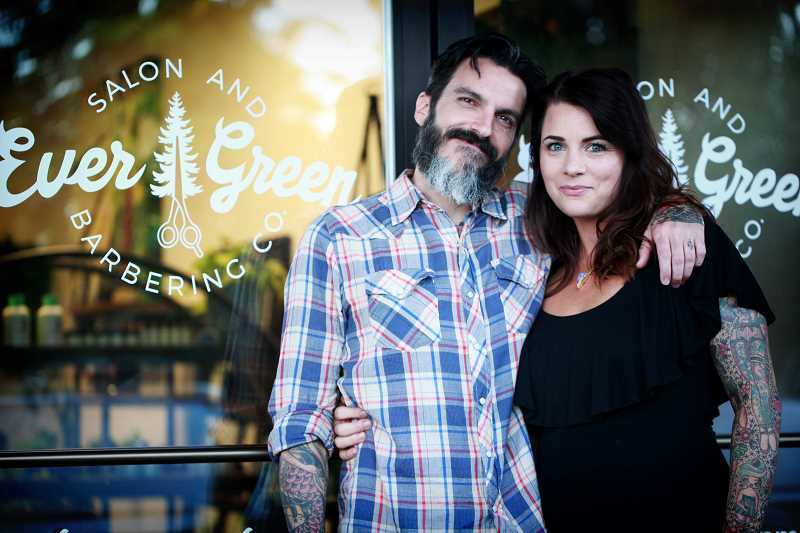 Ever Green Salon and Barbering Company is open Tuesdays through Saturdays, from 9 a.m.-5 p.m. For more information, call 503-688-7504 or visit evergreensalonpdx. com.